Well this project to revamp my main PC after giving away all my parts from my old Shiny Charizard PC to relatives (see Project Dynasty) has been in the plans/works for the past 4 months and has finally reached its completion (with more upgrades to come in the future). It is an all out, no holding back build, featuring parts from only the most premium companies out there. The CPU/RAM was purchased way back in Q3 2017, which I didn't see a chance to swap for newer 2018 parts. For the water cooling parts, this is the first time i've put faith in purchasing almost all Bitspower products to cool my dual 1080 Ti and 7820x. Their pricey, but quality wise, their silver shining finish is flawless. Clear coolant is used for longevity. Now for a premium build, hard line would be the first thing to go to right? but nah, I like soft tubing. I decided to use EK Duraclear 10/13mm with Black Nylon sleeve that is 1mm thick to give me 15mm OD. Bitspower's CC3 V3 Fittings state they are 10/16mm but they are extremely tight for 16mm OD (u'd have to use a wrench which I don't want to damage the finish on the knurled rings), I'd say their OD is more 14-15mm. Soft tubing also allowed me to integrate Quick Disconnects for Modularity. I have integrated quick disconnect fittings throughout the loop to assist in draining/modular disassembly. 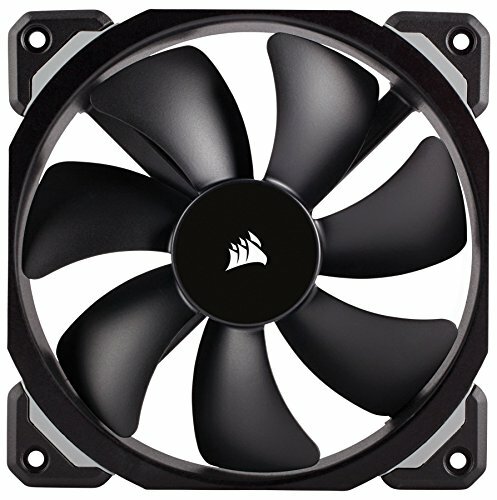 It enables me to seperate the radiator/top of case without having to drain the loop to clean/replace the fans/radiator if need be in the future. It also enables me to drain the coolant from the CPU/GPU in one go. Hence allowing me to detach the tubing connecting CPU to GPU, and modularly remove both GPU for maintenance/cleaning. The Pump/reservoir is also seperated and can be removed modularly for replacement/cleaning in the future. The ball valve near the pump allows me to drain coolant from the hex reservoirs. A temperature probe fitting for loop temperatures is also attached to the temperature sensor plug on the motherboard to minimise the need for an LCD/cable clutter, as all my temperatures/fan speed/monitoring/control can be done on ASUS AI Suite TUF software. Now the single 360mm slim radiator has been able to handle the cooling of the 7820x and a single 1080 ti (previous test revision) no problem in what I run on a day to day basis. 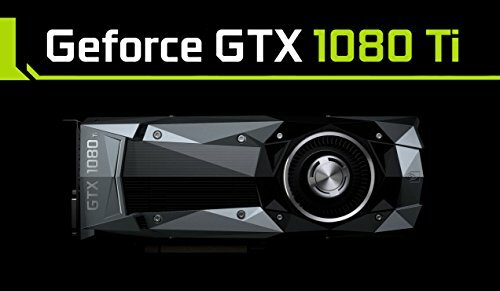 I am yet to update on the temperature results for the dual 1080ti. Noise is cancelled out with headphones at 1400-1800RPM, and dead silent at 450RPM. With the orientation of the fans and keeping them at minimum RPM when idling, the PC has seen minimal dust attraction regardless of the filter-less design of the case. I plan to upgrade somewhere down the line, more RAM, Cablemod PRO cables and maybe a second radiator. The cables I currently have were won in a promotion, there lengths are far too long, and I would like to minimise the spaghetti hiding in the basement by getting cables that are EXACT lengths. Something I plan to do in the future. Overall, I am very happy with the result of this build, it suits my desires for a top of the line, premium system with the simple monochromatic black/silver theme with a touch of my favourite colour green. I have even shed blood when handling some of the fittings. The mirror finish on the glass, however, is a fingerprint magnet and is a pain in the bum to clean. Thanks for checking out this build! Any questions feel free to comment/ask. You know what this reminds me of? Terry Crew's Old Spice build by JayzTwoCent! That's the same case! Wish I had one. But this build is F***ing awesome! This thing is gonna turns some heads for sure. Amazing job. This is a total FEATURE for sure! Thanks Droem! The old spice build was amazing and inspirational. +1 EXCELLENT BUILD USING EXCELLENT COMPONENTS INSIDE A GORGEOUS CASE! That was also a great choice to go with Bitspower. I think EKWB's water blocks are comparable to Bitspower's CPU and GPU water blocks - depending on the product line, sometimes EK has better blocks and sometimes Bitspower's blocks are better. For X299, across all models, I love Bitspower's monoblocks much better than EK's. And for fittings, I love Bitspower wayyyyy more than EK's fittings. I have never had either brand's fittings leak before. But Bitspower's fittings just exude quality with their perfectly polished finish, the way they feel in my hands, and they just seem to connect and tighten together with better precision than EK's fittings. Like you noticed, their fittings sometimes cost more than EKWB, but I think the better quality is worth it!! Agreed, Bitspower fittings aesthetically are more polished and much more premium looking. However, the Bitspower rotaries can be a pain to work with on the extremely tight tubing runs as they are very tight, EKWB rotaries are much more loose and far more flexible in doing tight runs, but lack support strength when using rotaries to brace tubing/components. Overall, yeah both have their perks. Haha, yeah with the way the TUF armour covers the Bitspower Monoblock, removing the monoblock requires the entire motherboard to be taken out (in order to remove the armour). So i'm hoping not to upgrade the CPU for a while too. GPU's can be removed with relative ease (Had to remove them twice after mounting and loop filled due to silly mistakes putting the m.2s in the wrong slots), so looking forward to upgrading them to the next next Ti's. I personally prefer the tighter rotaries on Bitspower fittings much more than EKWB's looser ones. I'm glad I chose the TUF series for this build, have always liked the style, theme and solid construction on these boards! Beautiful build, very clean and I love the case. Thanks Chavezgarrett7! case is one of a kind. That case is amazing. Normally like being able to see into the tubing but that looks great. Fantastic work. Thanks Brandonr757 :) Yeah i was going for a more solid look To the tubes. However they are just nylon wrapped similar To cablemod aio sleeves and can easily be taken off To reveal clear tubing underneath without draining or diassembly. You're welcome! Yeah, the wrap works well. I like it. You won't need an upgrade anytime soon. Hoping To have This last 3 years. Probably would with some maintenance from time to time. Congrats for a well deserved feature Bee! It's a beauty with a cool, sleek theme. Plus one all the way. This build is just something else, very original in every aspect! I tried to build something based on parts that I genuinely wanted to use. Okay this is a case. Haha, indeed, wanted something different from the mainstream rectangular box + tempered glass. Yeah that was a dilemma I was facing as well, I thought about cutting the M3 screws slightly shorter, but never got to it as i'm sorta waiting for something unique in the RAM market to replace them with in the future. Currently Eyeing the G.skill Trident Z Royal RGB in chrome silver. Wow! looks really good! Very clean and well thought out. I love it! Check out my water-cooled build! I love that case colors! However I wish I had something I could fit more radiators in. I had some troubles fitting everything but I love how it turned out. 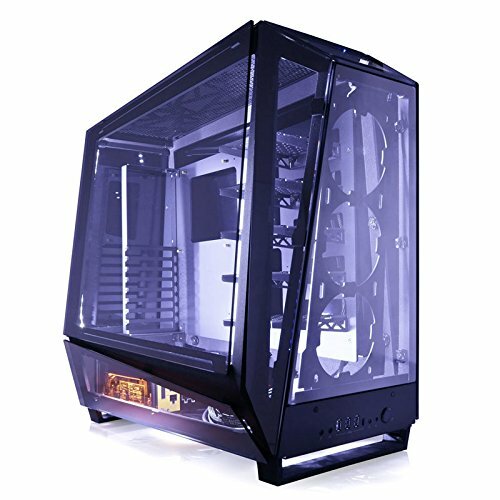 I am thinking about doing it all in hardline petg and using some thermaltake rgb fittings as I am having some trouble with the coloring fading out. Some of it has to do with pressure built up inside of the system as well. I am working on that with some special fitting that is suppose to help! Please never stop building Bee! You know... I remember drooling over your green DFrame 2.0 build and thinking to myself "I wonder if you considered the Tou 2.0?" > And here it is! I must admit, I never thought that flexible tubing could look that good if sleeved. Indeed, it does give the tubes a more finished look compared to raw clear tubing. I have always liked solid coloured soft tubing. Yeah, winter here in Australia (NSW) is much colder than any of the previous years, averaging only 16-18 degrees celcius in midday. One of the best-looking PC's I've ever seen. Awesome job! One question if you don´t mind. Where did you get the black nylon sleeve from? The black nylon sleeve were bought from ebay under cable management sleeving. Thanks for the answer. It gives a really nice look to the tubes. Overkill for anything I would use it for, but mainly as my daily driver, gaming, occasional editing but mostly gaming. As an enthusiast I just love assembling computers, making things grand, so budget is not really in my consideration, especially not for this build.